As his junior year in high school comes to an end, Gavin Bailey realizes his privileged world as the most popular kid in school is a lie. To make matters worse his father, feeling his overly-indulged son needs redirection, sends him off for the summer to assist at a camp for children with special needs. 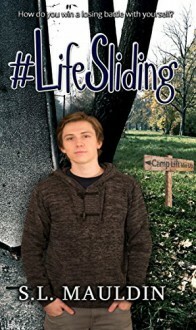 Suddenly forced to dabble in a world less familiar, Gavin’s past catches up with him at Camp Lift Me Up. An event from his sophomore year comes to the forefront at the same time he encounters a strange girl with multi-colored fingernails who refuses to issue a waiver for his arrogant behavior.